Condensate from steam consumers is channeled, collected and temporarily stored in the condensate service module. A condensate pump pumps the condensate back into the feed water deaeration plant if the corresponding need for water arises. 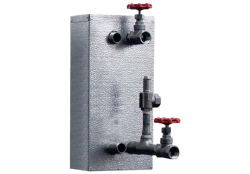 Unpressurized condensate service modules are usually installed near the consumer. 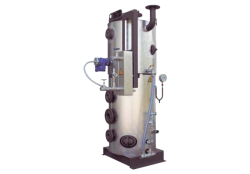 With the condensate high pressure plant the condensate is kept at pressure and temperature so that expansion steam losses are prevented or significantly reduced. 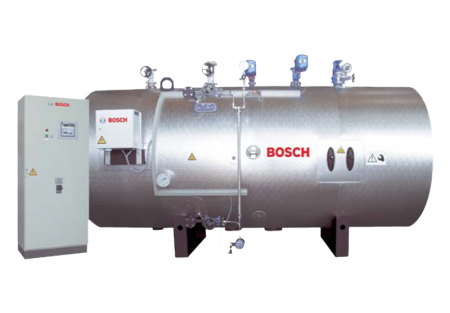 The condensate is fed directly to the steam boiler via the condensate pump if necessary. Deaeration once again of the high-pressure condensate is not necessary. 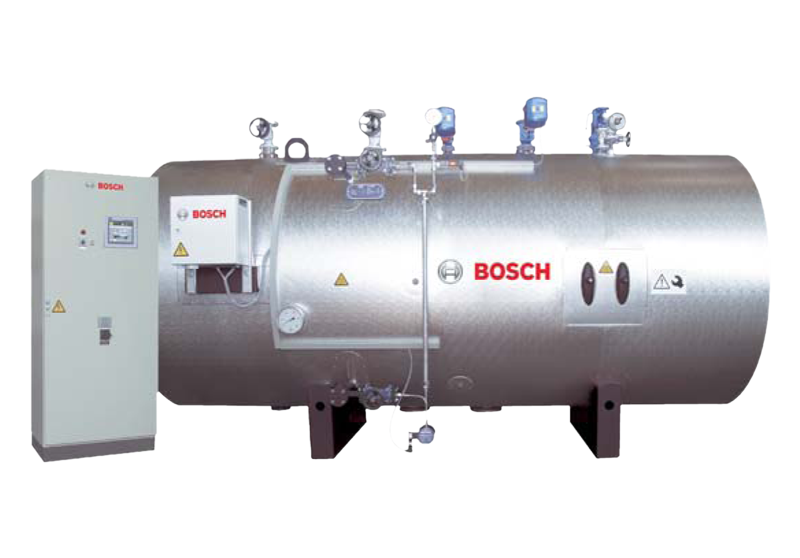 Condensate high pressure plants should always be used if the discharge into the feed water tank or unpressurized condensate service module would be accompanied by a great deal of expansion steam loss due to the condensate parameters. All components are piped, thermally insulated and electrically wired in the highest equipment quality level for a multi-functional assembly unit. 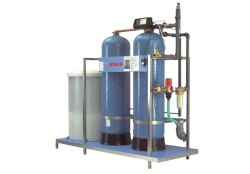 The unpressurized condensate service module is mounted on a stable support device and designed for installing at ground level. The condensate high pressure plant is prepared for open installation and needs a positive suction head of at least 1.5 meters. All functions are computer-aided and automatically controlled with a programmable controller. The system consists of the components condensate tank, condensate pump module, control cabinet and equipment. The system’s piping and thermal insulation is pre-installed ex works. Decrease in energy and water consumption by reducing make-up water quantities. Minimisation of expansion steam losses, desalination and blow-down quantities, less chemical consumption and reduced corrosion potential in the steam condensate system when using condensate high pressure plants.